Jose Marcos Torres…originally signed by the Oakland Athletics as a non-drafted free agent on July 2, 2010…signed by Athletics' scouts Julio Franco and Oswaldo Troconis. Split the season between Single-A Lake Elsinore, Double-A San Antonio and Triple-A El Paso and went a combined 1-4 with a 2.24 ERA (16 ER, 64.1 IP) and 63 strikeouts and 23 walks in 48 relief appearances...Recalled from Triple-A El Paso on 9/21 for his first career call-up and made his Major League debut the next day on 9/22 vs. SF...Worked scoreless ball in all four of his outings for the Padres after being called up, posting a 0.00 ERA in his 3.0 innings pitched...Acquired in the offseason on 12/2/15 from the Oakland A's in a five player deal. October 10, 2018 San Antonio Missions released LHP Jose Torres. October 8, 2018 San Diego Padres sent LHP Jose Torres outright to San Antonio Missions. 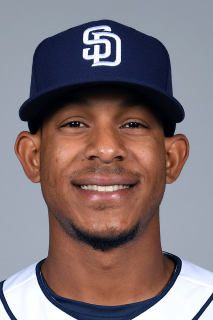 October 2, 2018 San Diego Padres designated LHP Jose Torres for assignment. February 12, 2018 San Diego Padres placed LHP Jose Torres on the restricted list. September 21, 2016 San Diego Padres recalled LHP Jose Torres from El Paso Chihuahuas. September 6, 2016 LHP JosÃ© Torres assigned to Peoria Javelinas. August 30, 2016 LHP Jose Torres assigned to El Paso Chihuahuas from San Antonio Missions. July 13, 2016 LHP Jose Torres assigned to San Antonio Missions from El Paso Chihuahuas. July 11, 2016 LHP Jose Torres assigned to El Paso Chihuahuas from San Antonio Missions. June 6, 2016 LHP Jose Torres assigned to San Antonio Missions from Lake Elsinore Storm. March 14, 2016 San Diego Padres optioned LHP Jose Torres to Lake Elsinore Storm. November 20, 2015 Oakland Athletics selected the contract of LHP Jose Torres from Stockton Ports. August 30, 2015 LHP Jose Torres assigned to Stockton Ports from Beloit Snappers. April 6, 2015 LHP Jose Torres assigned to Beloit Snappers from Vermont Lake Monsters. October 7, 2014 LHP Jose Torres assigned to Leones del Caracas. September 2, 2013 Vermont Lake Monsters activated LHP Jose Torres from the 7-day disabled list. August 1, 2013 Vermont Lake Monsters placed LHP Jose Torres on the 7-day disabled list. June 16, 2013 LHP Jose Torres assigned to Vermont Lake Monsters from AZL Athletics. June 20, 2012 Jose Torres assigned to AZL Athletics from DSL Athletics. February 25, 2011 Jose Torres assigned to DSL Athletics. November 20, 2010 Oakland Athletics signed free agent LHP Jose Torres to a minor league contract.